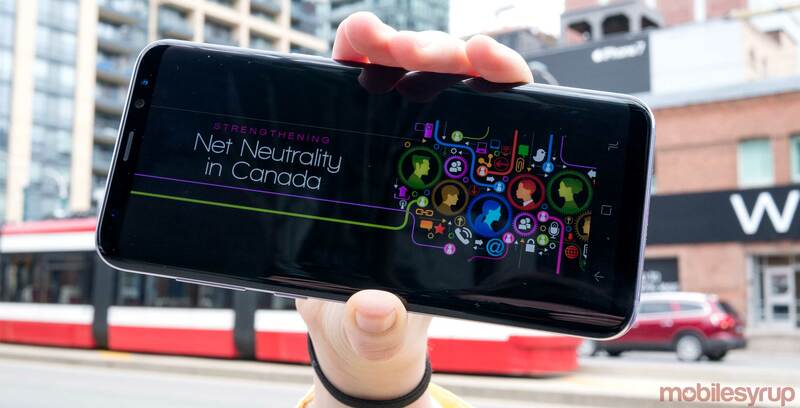 With its decision on Videotron’s zero rated Unlimited Music service on April 20th, Canada’s telecom regulator took a strong stance in favour of net neutrality. The Canadian Radio-television and Telecommunications Commission (CRTC) ruled that Quebec-regional carrier Videotron gives undue preference to certain customers and music streaming platforms that are supported through its Unlimited Music service, which allows premium-tier customers to stream music from select apps without being billed for data usage. Additionally, the regulator took the ruling as an opportunity to lay out a new framework that severely restricts the grounds on which differential pricing is allowed. The four main criteria of the framework are the equal treatment of data regardless of source or nature, the exclusiveness of the offer to the customer, the impact on internet innovation and whether there is financial compensation. The first criteria, equal treatment of data, has a major impact on content-based zero-rating offers. Using Unlimited Music as an example, the fact that it zero-rates data from certain content providers is more likely to raise concerns than zero rating that treats data ‘agnostically’ — a ‘time of day’ offering for instance. Additionally, Unlimited Music ran into issues with the exclusiveness of its premium tier-only offer and the impact of its service on internet innovation, since it only supports large established streaming platforms, not smaller apps or new entrants. The new rules will be enforced through complaints, though operators can also submit a differential pricing practice to be reviewed prior to offering it. “A free and open internet gives everyone a fair chance to innovate and for a vast array of content to be discovered by consumers,” stated CRTC CEO and chairman Jean-Pierre Blais in a press release accompanying the decision. The significance of these strict regulations made headlines not only in Canada, but in the U.S. as well, which is currently moving in a very different direction — the current chairman of the State’s telecom regulator, Ajit Pai, recently called net neutrality “a mistake” at Mobile World Congress and stated he believes in a “light touch” to internet regulation. Michael Geist, one of the leading voices for net neutrality in Canada and Canada research chair in internet and e-commerce law at the University of Ottawa, lauded the CRTC’s decision. “When combined with the federal government’s clear support for net neutrality, the Canadian framework is now one of the strongest in the world, providing guidance for the providers and appropriate protections for users and innovative services,” wrote Geist in a blog post following the announcement. Financial analysts, however, see the scenario from a very different perspective. “We wonder why a service that encourages usage that consumers enjoy (where the content or app is not owned by the carrier) requires regulatory intervention,” wrote Scotiabank analysts Jeff Fan and Matthew Lee in a report to clients on April 20th. The analysts further note that the decision is similar to a concern raised by the prior FCC administration about AT&T’s zero-rating of its DirectNow TV service, which has since been treated dismissively by Chairman Pai. “The CRTC Chairman’s term ends June 17, 2017 so perhaps our next Chairman will be more open to competition,” wrote Fan and Lee, referring to current chairman Jean-Pierre Blais. The Scotiabank analysts concluded that the CRTC decision removed one of Videotron’s differentiators, but stated that ultimately, they did not believe it was a “game-changer” in the Quebec wireless market. Regardless of its long-term impacts on the brand, however, the decision has caused the stock of Videotron parent company Quebecor to significantly decline on April 21st, down by 1.22 percent as of midday. As for Canada, the CRTC’s recent decision was a strong step towards establishing the country as a world leader in net neutrality policy. Unfortunately, it’s unclear whether that will translate to lower data rates for consumers that pay some of the highest rates in the world.